Match ends, Scunthorpe United 2, Grimsby Town 1. Second Half ends, Scunthorpe United 2, Grimsby Town 1. Attempt blocked. Siriki Dembele (Grimsby Town) right footed shot from the centre of the box is blocked. Attempt saved. Harry Cardwell (Grimsby Town) header from the centre of the box is saved in the centre of the goal. Foul by Mitch Rose (Grimsby Town). Tom Hopper (Scunthorpe United) wins a free kick in the defensive half. Mitch Rose (Grimsby Town) wins a free kick in the defensive half. Foul by Tom Hopper (Scunthorpe United). Attempt missed. Mitch Rose (Grimsby Town) right footed shot from outside the box is just a bit too high. Foul by Karleigh Osborne (Grimsby Town). Foul by Tom Bolarinwa (Grimsby Town). Sam Mantom (Scunthorpe United) wins a free kick on the right wing. Substitution, Grimsby Town. Scott Vernon replaces JJ Hooper. Attempt saved. 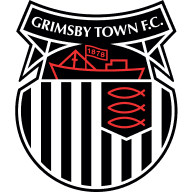 Siriki Dembele (Grimsby Town) right footed shot from outside the box is saved in the centre of the goal. Goal! 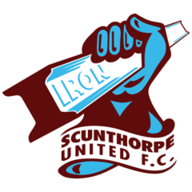 Scunthorpe United 2, Grimsby Town 1. Tom Hopper (Scunthorpe United) header from the left side of the six yard box to the bottom left corner. Assisted by Kevin van Veen. Corner, Scunthorpe United. Conceded by Karleigh Osborne. Attempt blocked. Paddy Madden (Scunthorpe United) right footed shot from the centre of the box is blocked. Substitution, Grimsby Town. Siriki Dembele replaces Diallang Jaiyesimi. Corner, Scunthorpe United. Conceded by Danny Collins. Attempt blocked. Tom Hopper (Scunthorpe United) right footed shot from the right side of the box is blocked. Foul by Devonte Redmond (Scunthorpe United). Mitch Rose (Grimsby Town) wins a free kick in the attacking half. Attempt saved. Sam Mantom (Scunthorpe United) right footed shot from outside the box is saved in the centre of the goal. Substitution, Grimsby Town. Martyn Woolford replaces Zak Mills. Attempt missed. Sam Mantom (Scunthorpe United) right footed shot from the centre of the box is close, but misses to the left. Corner, Grimsby Town. Conceded by Murray Wallace. Sam Kelly (Grimsby Town) wins a free kick on the right wing. Attempt missed. Danny Collins (Grimsby Town) header from the centre of the box is close, but misses to the right. Foul by Sam Mantom (Scunthorpe United). Attempt missed. JJ Hooper (Grimsby Town) header from the centre of the box is close, but misses to the left. Corner, Grimsby Town. Conceded by Sam Mantom. Attempt blocked. Diallang Jaiyesimi (Grimsby Town) right footed shot from outside the box is blocked. Attempt missed. Paddy Madden (Scunthorpe United) right footed shot from the centre of the box is too high. Corner, Scunthorpe United. Conceded by Ben Killip. Attempt saved. Paddy Madden (Scunthorpe United) header from the centre of the box is saved in the centre of the goal. Attempt missed. Harry Clifton (Grimsby Town) header from the centre of the box is just a bit too high. Attempt saved. Hakeeb Adelakun (Scunthorpe United) left footed shot from the left side of the box is saved in the centre of the goal. Devonte Redmond (Scunthorpe United) is shown the yellow card for a bad foul. Sam Kelly (Grimsby Town) wins a free kick in the defensive half. Attempt saved. Karleigh Osborne (Grimsby Town) header from the centre of the box is saved in the bottom left corner. Corner, Grimsby Town. Conceded by Cameron Burgess. Attempt blocked. Tom Bolarinwa (Grimsby Town) right footed shot from outside the box is blocked. Foul by Murray Wallace (Scunthorpe United). Attempt missed. Tom Bolarinwa (Grimsby Town) right footed shot from outside the box misses to the right. Second Half begins Scunthorpe United 1, Grimsby Town 1. First Half ends, Scunthorpe United 1, Grimsby Town 1. Attempt blocked. Mitch Rose (Grimsby Town) right footed shot from outside the box is blocked. Attempt missed. Lewis Butroid (Scunthorpe United) left footed shot from outside the box is just a bit too high. Attempt blocked. Devonte Redmond (Scunthorpe United) right footed shot from outside the box is blocked. Goal! Scunthorpe United 1, Grimsby Town 1. Tom Hopper (Scunthorpe United) right footed shot from outside the box to the bottom left corner. Attempt blocked. Diallang Jaiyesimi (Grimsby Town) right footed shot from the centre of the box is blocked. Attempt blocked. Harry Cardwell (Grimsby Town) right footed shot from the left side of the box is blocked. Goal! Scunthorpe United 0, Grimsby Town 1. Diallang Jaiyesimi (Grimsby Town) right footed shot from the left side of the box to the bottom right corner. Assisted by Harry Clifton. Attempt missed. Cameron Burgess (Scunthorpe United) header from the left side of the six yard box is close, but misses to the left. Attempt blocked. Paddy Madden (Scunthorpe United) right footed shot from the right side of the box is blocked. Murray Wallace (Scunthorpe United) wins a free kick in the attacking half. Karleigh Osborne (Grimsby Town) wins a free kick in the attacking half. Attempt saved. Diallang Jaiyesimi (Grimsby Town) header from the centre of the box is saved in the centre of the goal. Paddy Madden (Scunthorpe United) is shown the yellow card. Hand ball by Paddy Madden (Scunthorpe United). Attempt missed. JJ Hooper (Grimsby Town) right footed shot from the right side of the box is close, but misses the top right corner. Hakeeb Adelakun (Scunthorpe United) wins a free kick on the left wing. Foul by Diallang Jaiyesimi (Grimsby Town). Attempt missed. Sam Kelly (Grimsby Town) right footed shot from outside the box is too high. Attempt blocked. Danny Collins (Grimsby Town) right footed shot from the centre of the box is blocked. Attempt saved. Sam Mantom (Scunthorpe United) left footed shot from outside the box is saved in the top centre of the goal. Diallang Jaiyesimi (Grimsby Town) wins a free kick in the defensive half. Corner, Scunthorpe United. Conceded by Zak Mills. Sam Mantom (Scunthorpe United) wins a free kick in the attacking half.